Moments like Friday night are what living in Lawrence is all about. At the Jazzhaus on Mass St., three live bands played a back-to-back-to-back showcase, each one expanding and improving on the band before it. The show kicked off with Hireth, a Lawrence local band with a pop-punk sound. Hireth has an ability to sound fresh and new, but can easily throw things back to the very roots of this whole “indie rock” thing– dating back to The Killers releasing Hot Fuss in 2004. In fact, these guys are known to kill a Killers cover at least once a show (we were blessed with a phenomenal “All These Things I’ve Done” cover on Friday. The intensity they brought to this cover, as well as their cover of Bowling for Soup’s “1985” was infectious and impeccably well done– everyone in attendance singing along and smiling ear to ear. Lead singer Cooper Scott is first and foremost a performer. He is charismatic and funny on stage. His ability to be tender one moment and ferocious the next is captivating and really exciting to watch. In fact, he’s able to take his voice to a gritty and intense growl that sounds really good matched up with the band’s fantastic live sound. Scott’s onstage persona allows for his band’s music to take any turn he wants- whether it be delicate emo-rock like American Football, or belting out some loud and fast rock music, almost like The Strokes. These guys are making indie-rock fun again, so bring your dancing shoes to the next show. The next act of the night was Instant Karma, a Kansas City psychedelic-rock band that absolutely shred. These guys brought everything one could possibly want to their live show, stellar guitar work, groovy basslines, hard-hitting drums, and quite possibly my favorite part, two sensational female backup singers, adding that extra level of soul. Their enormous sound brought the house down, and I couldn’t take my eyes off of the stage. Instant Karma’s crunchy and rhythmic sound can be related to The Black Keys and The White Stripes, while still remaining completely original. The songs off their latest EP, Trying to Find My Mind, hit the hardest, and the guitars on this thing are something to watch out for. The shredding is very real, and they will take off into a jam at whim and aren’t afraid to get weird. Their sound is filled to the brim with intricate and impeccable instrumentals and gets even better with lead singer Colby Bales bringing fantastic vocals to the mix. I was incredibly impressed with these guys, check them out on tour, you won’t be disappointed. Headlining the night was Shoebox Money, an incredibly skilled young Lawrence, KS band that wowed the crowd. These guys bring indie-rock to the forefront of their sound, while still incorporating several other genres including punk, pop, and even blues. Shoebox Money has the potential to make a really big splash in the local scene here in Lawrence. Riding off the momentum of their new EP, which will be released any day now, their live show is captivating, intricate, and really fun to watch. Their songs are catchy as hell too (their new song “Riverside” has been stuck in my head all day.) Lead singer Ben S. has a voice that is really not to be messed with, it is unwound and fierce, getting grizzly over the funky instrumentals his band is laying down. When these guys play a show, they don’t just play, they throw down. All of the bands at the Jazzhaus showcase feature something new and exciting in rock music. They bring their own unique sounds to the table and are each captivating and exciting in their own ways. All the bands have insane potential, and it’s amazing to see the skill level found in this small local community here in the middle of the map. As all these bands continue to work and build their base, you best believe I’ll be keeping track of their ascension. 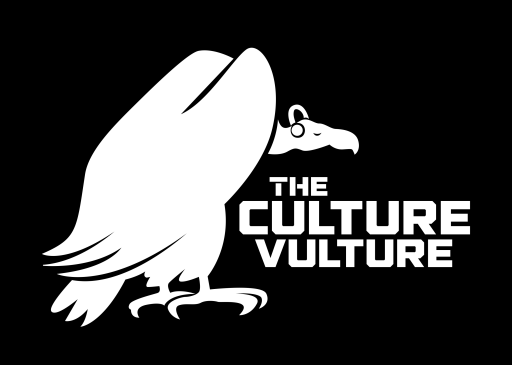 Keep tuned to Your Culture Vulture, as well as all the bands socials below for future tour dates.